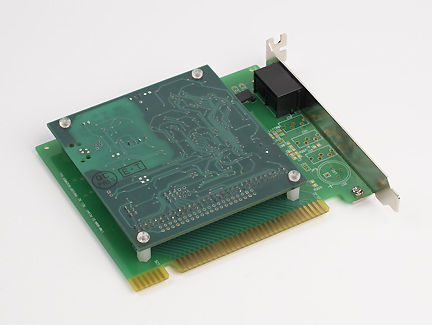 The 560i-AC/3 modem is a full-featured, completely self-contained data / fax /voice modem, designed for ISA Bus applications. The modem transmits high-speed data rates for up to 56 kbps, and fax at 14.4 kbps. It features online voice playback and record. The modem is FCC68 and CS-03 certified. * Information furnished by Radicom Research is believed to be accurate and reliable. However Radicom Research assumes no responsibility for its use, or any infringement of patents or other rights of third parties which may result from its use. Radicom Research reserves the right to change circuitry at any time without notice. This document is subject to change without notice.